Armand Gustave Houbigant (1789-1862) created a new set of playing cards in c.1816 based on realistic historical characters, intending to relieve players from the boring official “portraits” of the time. 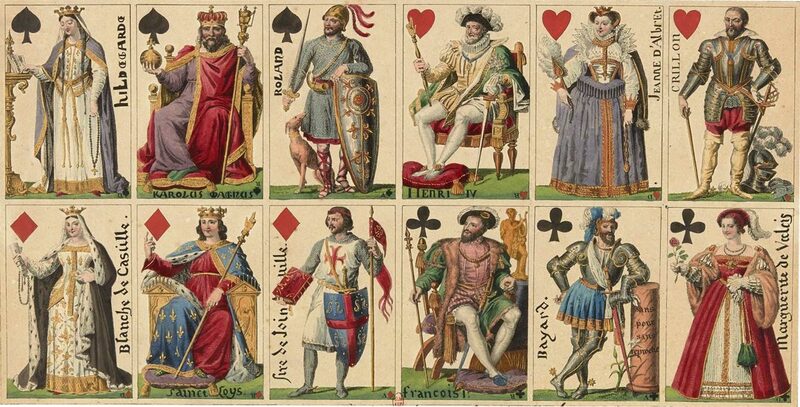 The court cards represent the dynasties of Charlemagne, Saint Louis, Francis I and Henry IV. Several versions of Houbigant’s cards were produced in varying degrees of quality, including an edition to commemorate the wedding of the Duke of Berry in 1820. 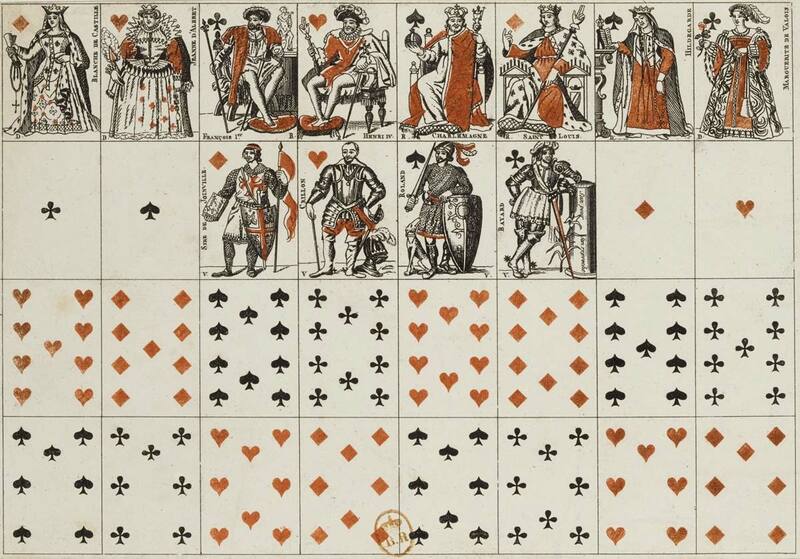 These in turn inspired further imitations and a new genre of playing cards featuring historical costumes. The Bibliothèque Nationale has several different editions available for viewing; search for ‘Houbigant’ using the above link. 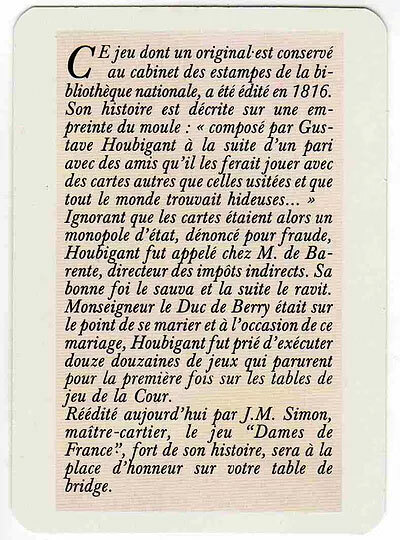 Above: cards from the modern edition titled “Dames de France” published by J-M Simon, including a special Joker and four indices on each card. Images courtesy Matt Probert. Houbigant's designs were also copied by other manufacturers, as seen in the children's miniature set shown below, from c.1821. Another more recent facsimile was published by Heraclio Fournier S.A.